Two Brothers Brewing of Warrenville is in the process of purchasing The Roundhouse in downtown Aurora. 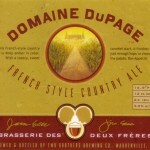 Two Brothers Brewing is a local micro-brew company brewing up a selection of excellent beers like Domaine DuPage, Cane & Ebel, and unique, limited-production artisan beers. 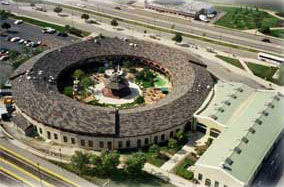 The historic Roundhouse, once owned by Chicago Bear, Walter Payton, has recently fallen on tough times. The properties current owner owes considerable back taxes to city, state, and federal agencies. Two Brothers owners, Jim and Jason Ebel, will acquire the property for $1.1, a price they consider to be a steal. The Ebel brothers currently operate the Two Brothers Tap House in a low-profile industrial location in Warrenville. The brewery and tap house location will remain open. In addition to their fine beers, they serve-up a menu of delicious, fresh dishes at their Warrenville tap house. The new Roundhouse location will have a full restaurant featuring many of these tap house dining favorites. Like their beer, Two Brother’s food is prepared using the finest, freshest ingredients available. The Roundhouse purchase is still underway, and once complete, the property will be aptly renamed the Two Brothers Roundhouse. Here is a previous review of the Two Brothers Tap House in Warrenville.